The Hong Kong Aikido Association was established with the aim of promoting the martial art of Aikido in Hong Kong. It was incorporated in 1999 as the Hong Kong Aikido Association Limited and is served by voluntary staff and instructors. It was founded by Mr. Kenneth Cottier (1933 – 2008) in 1971 who started a Aikido dojo in Homantin Street, Kowloon. 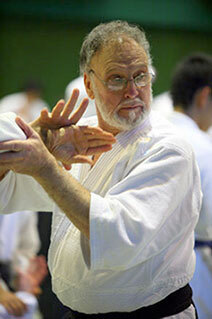 Cottier Shihan passed away in 2008. Since 2009, we have been very fortunate to have Hombu Shihan, Sugawara Shigeru come to Hong Kong and to conduct a seminar each year. The Hong Kong Aikido Association Limited is a recognized dojo by the Aikikai, Aikido World Headquarters in Tokyo, Japan and is a founding member of the International Aikido Federation. Subject to availability of training venues, the Hong Kong Aikido Association offers training seven days a week (except on public holidays) at government sporting facilities on both Hong Kong and Kowloon sides.